Oh blog, it has been far too long since I’ve last posted. In the interim I have made two trips up to Holy Cross (two football games, two wins, and one major traffic jam) and have spent most of my time working, sleeping, going to Zumba classes (!!! ), and reading (read: pretending I’m in college still by reading books about Russian history). Since my last post, I finally ditched my decrepit BlackBerry and joined the iPhone world. I got an iPhone 4 (I’m too broke for the 4S), and I absolutely love it (all the pictures in this post are courtesy of my iPhone). Plus it has come in handy since my laptop is on its deathbed once more–more about that later. 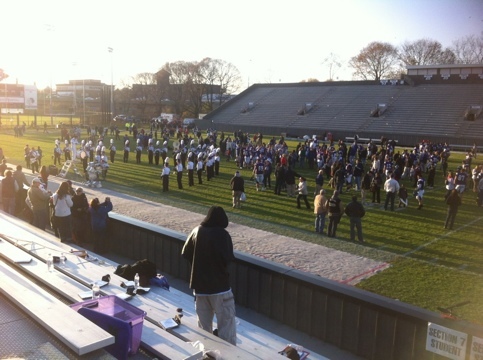 Two weekends ago my former roommate and good friend Rebecca made a road trip up to HC for the band senior day game. We met up with some other fabulous 2011 alums (Sarah, and my fellow band alums Michelle, Lindsey, and Meghan). Holy Cross won, the band sounded great, and I got to hang with some of my best friends. Honestly, I didn’t really pay much attention to the game because I was so excited to see my friends again. At homecoming, I didn’t really get to talk to them as much because I was reliving my glory days playing with the band. My laptop also met its tragic end yesterday. Well, technically it is only the screen that is broken. I can use it with an external monitor. 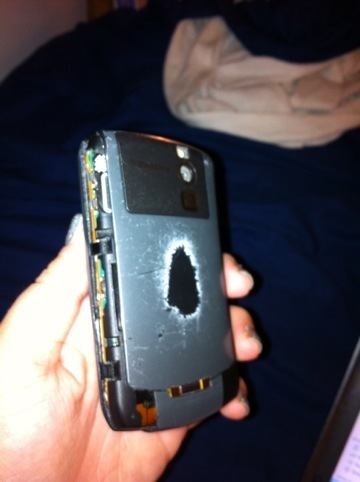 I could pay to have it fixed, but I don’t see the point in fixing something up just to have it break down on me again. The computer is four years old–I’d rather spend like 300 bucks on a netbook that has just as much functionality instead of paying just as much in repairs. Anyway, I am pumped for the next couple days off work. I could use a breather. Unfortunately I missed the powderpuff game today (probably the ONLY thing I miss about high school) because I had to work, but I also got out of work early today which was a total plus. I may or may not be going on the Wallingford bar crawl tonight, depending on whether or not I want to see the jerks I went to high school with. Have a great Thanksgiving, ya’ll!